The best natural ways to end painful constipation are detailed in a new article from Detox Dieter. This article provides safe, natural ways to relief constipation and feel great. Constipation is often the result of years of abusing the digestive system through poor food choices. A new article from Detox Dieter shares natural ways to relieve painful, uncomfortable constipation. Chronic intake of foods that irritate the digestive and intestinal system eventually causes them to function at a sub-optimal level. For instance, non-foods like coffee, refined sugar, alcohol, and other processed foods stress your colon and digestive system and eventually hinder their function. For optimal colon health, the goal should be to remove these irritating foods and provide your system with nutrients that will allow it to heal and function as it should. For optimal health, the goal should be pass 2-3 bowel movements each day. Anything less is considered constipation. Constipation can lead to several dangerous health conditions. Over time, body waste toxins waiting to be excreted are stored in the fat tissue which includes the fat cells, brain, and nervous tissue. The “How to End Constipation” article from Detox Dieter provides natural constipation remedies designed to relieve constipation and is available at: http://detoxdieter.org/how-to-end-constipation/. In addition, the article provides access to a report titled “5 Detox Scams to Avoid”. This report details the dangers of the some of the most popular detox plans. 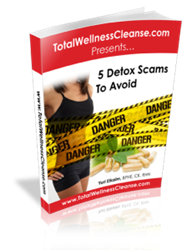 The complete “5 Detox Scams to Avoid” report is available at: http://detoxdieter.org/detox-diet-scams/. About: DetoxDieter.org is a new website that was launched in December 2013 in order to educate the community of the health benefits associated with detox and body cleanse.